1931 - the Florida Legislature approved a procedure to establish county health units in cooperation with the State Board of Health. In accordance with that, Volusia County established a county health department to provide health care to the citizens in conjunction with the State Board of Health. 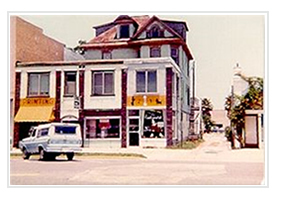 Originally, the health department was located on Beach Street in Downtown Daytona Beach. 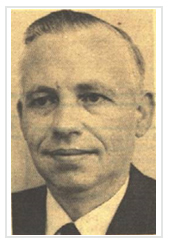 1942 - R. D. Higgins was named as the first director of the Volusia County Health Department. 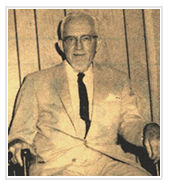 1957 - Dr. D. V. Galloway became the director. The staff consisted of 36 people with a budget of $220,000. 1967 - Dr. Hubert U. King was named the director of the Volusia County Health Department. 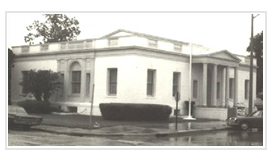 During the early 70's - the health department employed 100 people at one of the following locations: a building on Beach Street in Daytona Beach, the old post office building in DeLand and an old motel in Edgewater. Home health care was a major focus as there was no competition from the private providers. The budget for the Volusia County Health Department was $238,715.00 in 1965. As the population increased substantially, the demand for services increased and the Volusia County Health Department started construction of a new building. The new facility on Clyde Morris Boulevard was officially dedicated on September 8, 1977. With the support of the Visiting Nurses Association and local fund raising efforts, the New Smyrna Beach Health Center on Canal Street was completed in April, 1979 to serve the increasing population of southeast Volusia county. As a result of an increase in services, the budget was $2.3 million in 1980 for Volusia County. The building in New Smyrna was the result of a dream of the Southeast Visiting Nurses Association. The money was raised through private donations, auctions and other fund raising projects. The Visiting Nurses Association donated a mobile health unit to provide care to those in need. 1982 - in partnership with Halifax Hospital, the Volusia County Health Department took over the Halifax Hospital Indigent Maternity Program. The health department would now provide prenatal and postnatal care to indigent clients throughout Volusia County. 1983 - as a result of the establishment of a number of both profit and non-profit home health agencies, there was a decline in the need for Home Health Care. 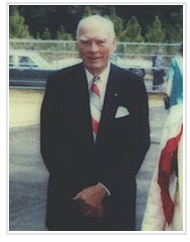 1984 - Dr. William Cox was named the new director. 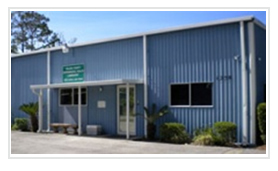 The DeLand clinic was dedicated at 336 E. New York Avenue. 1984 - marked the beginning of computerization at the Volusia County Health Department. With the start of Primary Care in 1986, the need for additional staff was evident. A pharmacist was hired in addition to more nurses, doctors, clerical staff and field nurses. The staff climbed from 185 employees to 235 employees to meet the demand of the clinic. 1986 - 1987 - the health department responded to a new health concern and started treating HIV/AIDS patients. During this time, there was an increased demand for school health services as the county experienced rapid growth. Unfortunately, in 1987 the health department experienced severe financial challenges and laid off some employees. Governor Bob Martinez responded to a growing epidemic by establishing a substance-exposed program in 1988. The Volusia County Health Department revised the medical record system by establishing a central site for all medical records during 1988 -1989. All records would now be kept in one place. 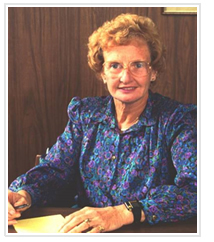 1989 - Dr. Cox retired in 1989 and was replaced by Dr. June Atkinson. 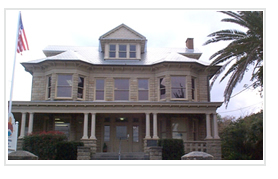 When Dr. Atkinson took over as director, there were approximately 300 employees and the budget was about $11 million. 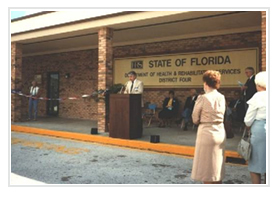 In the early 1990's, VCHD was ranked as one of the top five health departments in the state of Florida. The focus of Dr. Atkinson during this time was the promotion of the Primary Care program. VCHD now offered a full range of services to the public. Additionally, the Environmental Health Lab was established and combined efforts with the Volusia County Environmental Lab. 1994 - 1995 - the VCHD had grown to approximately 400 employees providing a wide range of services to the residents of Volusia County. 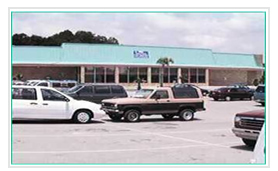 1995 - the DeLand clinic moved to 1330 S. Woodland Blvd. 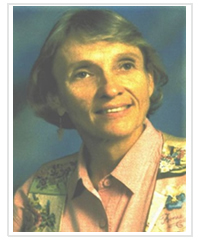 1996 - Dr. Bonnie Sorensen replaced Dr. Atkinson. The budget for the Volusia County Health Department grew to $17.9 million dollars with over 400 employees. The focus of public health went back to the roles of traditional public health - epidemiology, health education, communicable diseases, family planning, prenatal care, health information, environmental health, working in partnership with other community agencies and getting into our community to take the lead in promoting public health. 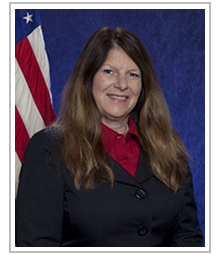 2002 - Dr. Bonnie J. Sorensen was promoted to DOH deputy health officer and moved to Tallahassee. 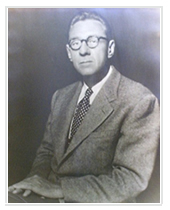 Dr. Alfred Adams was hired to replace Dr. Sorensen. During this time, VCHD worked with a number of community partners to open a public health clinic in Deltona to serve the growing population. 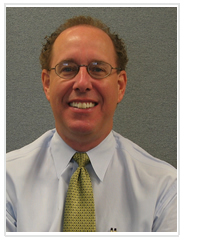 2003 - Howard Rodenberg, M.D., M.P.H. was named director starting in October and left in February 2005. Dr. Rodenberg handled a flu vaccine shortage by directing his team to seek creative ways to obtain flu vaccine when it became available. The area was impacted by a major storm that destroyed property and electricity was out for extended periods in some areas. FEMA provided ice, water, tarps and insect repellent to citizens. The health department opened special needs shelters and worked closely with Volusia County Emergency Management during this time. Dr. Rodenberg and the health department led a unique relief effort along with the American Red Cross and multiple community partners who went provided outreach in the Pierson area. The residents came out in large numbers to receive hot meals and relief supplies after being greatly impacted by the storm. 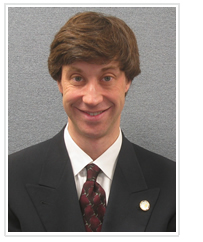 2005 - Thomas R. Coleman, M.D., M.S. became director in June 2005 to June 2009. 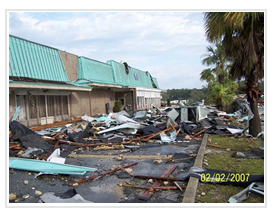 During that time, the DeLand clinic was impacted by the Ground Hog’s Day tornado of 2007. Custodial employee Juan Cruz was the first to see the devastation as he reported to work at 6 a.m. He called his supervisor who called the director. The tornado ripped apart the clinic, the print shop and Environmental Health offices located at a shopping complex on Woodlands Avenue. The building was destroyed. Dr. Coleman’s senior leadership team immediately worked to relocate employees and services to make sure clients received care with minimal interruption. 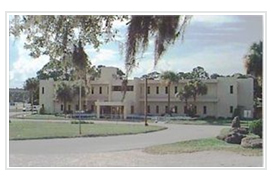 Florida Hospital Fish Memorial provided office space for public health services to continue in Orange City on the hospital campus. 2009 - Dr. Bonnie J. Sorensen, who was Deputy Health Officer for the state of California, returned to the Volusia County Health Department in August of 2009 during the height of the H1N1 flu period. The health department teamed up with Volusia County Government and a number of community partners to spearhead the “Let’s Fight Flu Together” campaign. This effort promoted the importance of getting vaccinated for protection against H1N1 influenza. Dr. Sorensen recognized the value of health equity and worked to educated staff and partners about health disparities that exist in our communities and the social determinants surrounding those issues. A number of first time projects involving health equity were implemented such as PACE EH, annual Health Equity Summit, and more. Under Dr. Sorensen’s leadership the health department worked with the hospitals to develop Community Health Improvement Plans and Community Health Assessments. 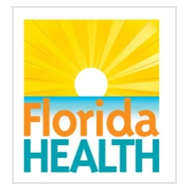 2013 - the Florida Department of Health launched a new brand change to Florida Health. 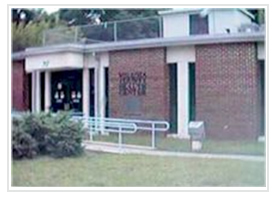 The preferred name for our county health department is Florida Department of Health in Volusia County or DOH-Volusia. The Florida Department of Health in Volusia County has an operating budget of 22 million dollars and has a workforce of 250 employees. There are four public health clinics, two dental offices, environmental health offices, five Women, Infants and Children (WIC) program offices, and two Vital Statistics locations. 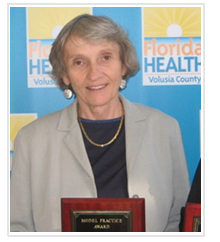 2016 - Patricia Boswell, MPH, was appointed administrator of the Department of Health in Volusia County in March 2016. Prior to joining DOH-Volusia, Boswell served as assistant county health department director and director of clinical services and community health promotion in DOH-Pinellas. Within six months of her appointment in Volusia County, the new Orange City location opened. The new office consolidated clinical services that had been dispersed in West Volusia following the 2007 tornado that destroyed the DeLand location. In fall 2016, the first Baby & Me Tobacco Free baby in the state was born in Volusia County. DOH-Volusia launched the state's first program in April and celebrated its first tobacco-free birth six months later.